LKCS, a marketing services provider based in Peru, IL that serves financial institutions nationwide began providing account statement and notice processing services for Credit Union 1, an $872 Million credit union headquartered in Rantoul, IL, in September 2018. Like most of LKCS’ statement clients, Credit Union 1 typically included a graphical ad, or onsert, on their statements each month. But since LKCS first started meeting with them, the credit union’s marketing department has always wanted to do more than just include one static onsert. And this month, beginning April 1st, Credit Union 1’s statements and e-statements included combinations of 34 different data-driven, personalized full-color graphical onserts ranging in size from 3″ x 2″ to full page letters. These onserts targeted specific consumer segments with offers cross-selling a wide range of deposit accounts, loan products, and other credit union services. Credit Union 1’s marketing team provided instructions for this project along with 18 data files and 34 different PDFs on March 26, 2019. LKCS’ programming team was able to complete the necessary programming and testing to go live with this transpromo marketing campaign for Credit Union 1’s statements and e-statements by April 1, 2019. The foundation is in place for Credit Union 1 to execute similar campaigns with the same or different targeting criteria on all future account statements. In 2018, LKCS began converting statement processing operations to the Quadient® Inspire platform. LKCS’ technical team says they now have the ability to process data files 10 to 20 times faster than before. In some cases, processing time has been cut down by as much as 95%. LKCS’ continual execution of marketing campaigns similar to this, has led the company to take data and deliver it over multiple marketing channels – print, online and mobile. With the integration of Quadient® Inspire software, the company plans to continue improving its statement processing and e-statement solutions and offering clients additional omnichannel marketing capabilities. 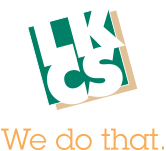 Contact us for more information on LKCS’ capabilities.